As it happens, Andrew is going to be busy for the next several Saturdays in a row so this is his last episode of the podcast until August. In the latest episode, you get him all to yourselves for an hour and a half. Ain’t that peachy! 1:10 – I have a problem. A Ghostbusters problem. 10:50 – Let’s talk about the localization of Tokyo Mirage Sessions! Again. 17:35 – Let’s speculate about the NX, Nintendo’s new console that we still know almost nothing about! 22:07 – GameStop made me mad. Here’s why. 26:24 – More NX talk! Game controller talk! Zelda talk! Paper Mario talk! 46:18 – Wind Waker is five times better than Skyward Sword. Do I agree? 58:15 – I share my thoughts on VR. 1:13:13 – Let’s talk about accuracy (and ethics!) in entertainment journalism. 1:22:00 – Let’s talk about video games and keeping the original language track! 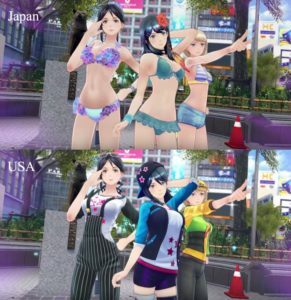 Last Friday, Mitsuru Hirata, chief director of Tokyo Mirage Sessions hit up Twitter to ask western gamers to buy the game despite various localization changes.